Eric Steiner has our feature interview with Doug Deming. We have 8 Blues reviews for you this week including new music from Albert Cummings, John Oates with The Good Road Band, Steve Mignano Band, Chris Ruest, The Druids of Stonehenge, Jamie Thyer And The Worried Men, Sam Cooke and a vintage release of harmonica music titled You’re Too Bad When Your Harp Is Rusty. Doug Deming and the Jewel Tones feature Doug on lead guitar and vocals, Andrew Gohman on bass, Sam Farmer on drums and Madison Slim on harp. 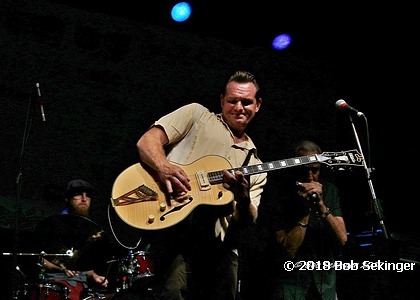 The band works more than most blues bands on Florida’s Gulf Coast and Doug frequently plays 17 to 20 club dates a month in addition to regional and national blues festivals. Next month, Doug Deming and the Jewel Tones will return to the Swordfish Grill and Cortez Kitchen in Cortez as well as the Motorworks Brewery and Mattison’s Riverwalk in Bradenton. Florida plays a unique role in the nation’s blues community as it is home to eight blues societies affiliated with The Blues Foundation. I had the privilege of talking to Doug as he was returning from a gig in Tampa. When we talked, he readily acknowledged that the Sunshine State is home to a very robust and thriving blues community that features major festivals in Daytona, Boca Raton, Tampa Bay and Bonita Springs as well as notable clubs such as the Bradfordville Blues Club and Pineapple Willy’s. 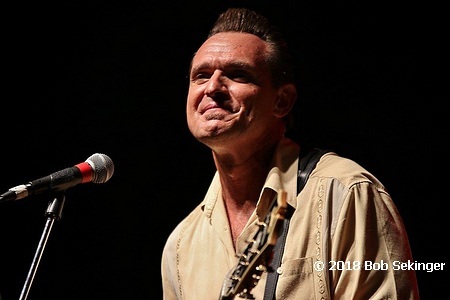 Doug is celebrating 20+ years as a touring bluesman. 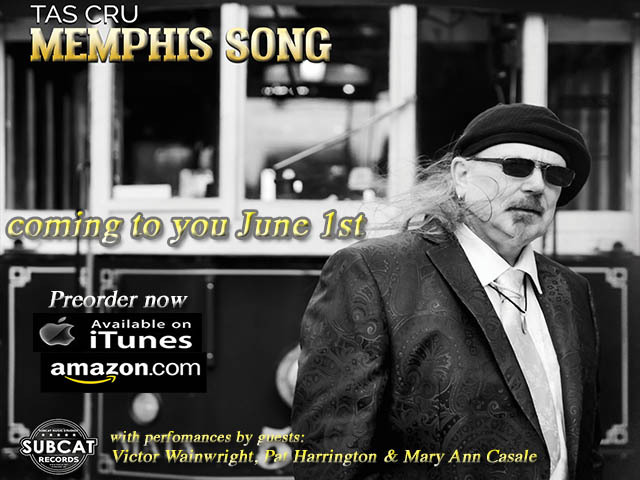 Doug’s strong and abiding love for traditional blues – think T-Bone Walker, Robert Jr. Lockwood and Albert King – sets this relatively young bluesman apart from his peers. 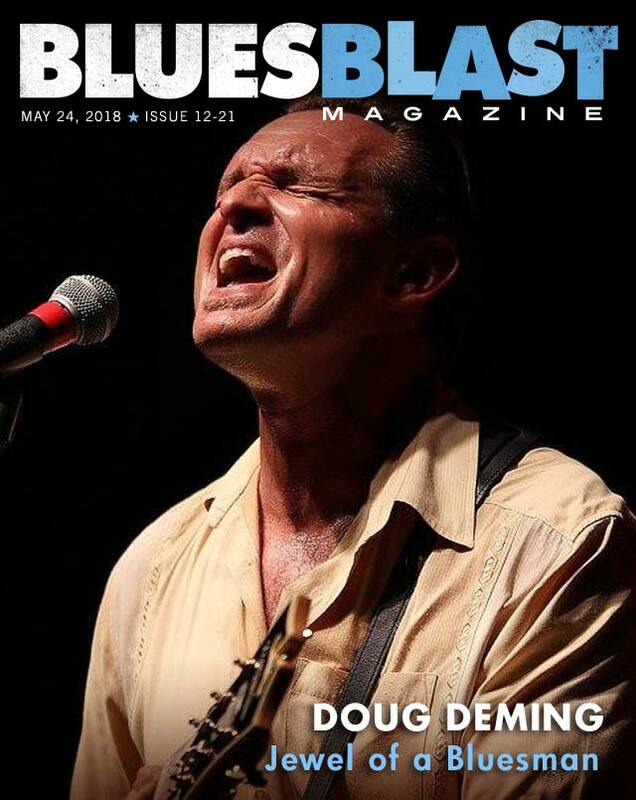 Doug also has worked with Dennis Gruenling and Steve Guyger, Kim Wilson, Terry Hank and Lazy Lester and each of his four CDs, plus Doug’s live shows, include a mixture of inventive original songs and well-chosen blues covers. 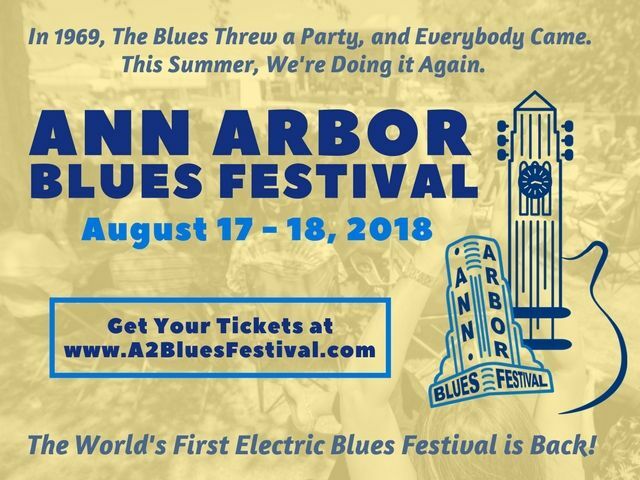 Doug also had the pleasure of working with one of the great blueswomen in his native Detroit, Alberta Adams, and his early on-the-job blues education included mentor-ship from esteemed Motor City blues elders Johnnie Bassett and Joe Weaver. At age 16 in 1986 with a newly-minted driver’s license in his wallet, Doug drove downtown across the traditional cultural, racial and psychological dividing line of Eight Mile Road from the suburbs in East Detroit to the recently-renovated Fox Theatre on Woodlawn Avenue downtown to see a blues revue that featured Denise LaSalle, Bobby “Blue” Bland, B.B. King and Albert King. This show was the “live blues gateway experience” that propelled Doug toward a more traditional, jump blues approach and away from Stevie Ray Vaughn’s raucous reinvention of contemporary blues. Earlier that year, Doug picked up his first guitar and was immediately attracted to blues classics. Doug fondly recalled his musical apprenticeship in Detroit in the 1990s. “I came up in the 80s and started to make my way in the clubs in the 90s. 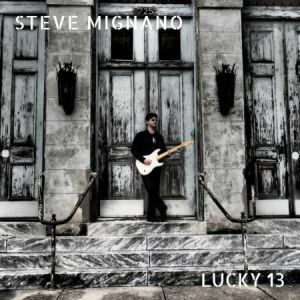 There was a pretty big blues boom at the time, but Detroit’s scene had one foot still rooted in traditional blues while the country was gravitating toward Stevie Ray Vaughn, and later, the embracing blues power trios. “Detroit had a handful of classic musicians who played for a record label that pre-dated Motown, Fortune Records. For me, the environment was very welcoming and nurturing as a young blues player. Doug recalled the race riots in Detroit in the 1960s and acknowledged the city’s racially-charged past. However, he also recognized from his experience that night at the Fox Theatre, and his early years in Detroit clubs, that music brought people together regardless of race. Ten years ago, the economic downturn disproportionately impacted Detroit and this directly impacted Doug and his family. For generations, his wife’s family owned and operated a machine shop that served Motor City’s primary industry. At the time, the city’s economy was on the ropes just prior to the nationwide bailout of US automakers facilitated by the Federal government. “It was very, very difficult for me to make a living,” continued Doug. “I went from four or five gigs a week down to struggling to get just a couple of gigs a week. Every sector of the economy was hurt. The town was stressed. Even driving down the street the impact of what felt like the Depression was palpable. There was no traffic during rush hour as people weren’t working. After the machine shop relocated it’s operation overseas, Doug and his wife considered other options, including warmer weather as an antidote to Detroit’s severe winters. The move to Florida was also influenced by Burger King’s expansion adjacent to their home. Doug and his wife Claudia relocated to the West Coast of Florida near Tampa Bay for its slower pace than the Orlando area and relative affordability for a full-time blues musician. Doug attributes his ability to work consistently along Florida’s Gulf Cost to the primary demographic of the region: Many people retire to Florida, and blues audiences tend to be older. 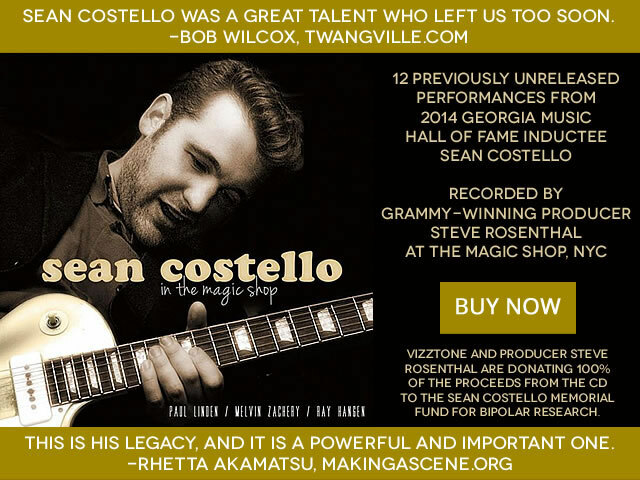 We talked about his 2012 Vizztone CD, What’s It Gonna Take, which landed in the top 10 Living Blues Charts and earned Doug a 2013 Blues Blast Magazine Sean Costello Rising Star Award. 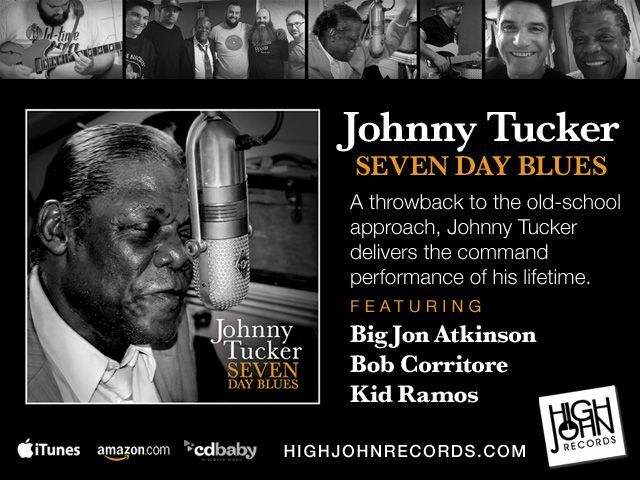 The CD’s classic and warm sound was reminiscent of early Chess records from 2120 South Michigan Avenue in Chicago. What was particularly impressive was the way he worked with Dennis Gruenling (who recently joined the Nick Moss Band on its Alligator Records debut). Doug and Dennis worked on the road together for eight or nine years. When asked about his gear that he uses to get his old school Blues sound Doug is happy to reveal his favorite amp and guitar setup. “The gear I choose really reflects my overall dedication for the traditional sound and my attempts to capture the tone and spirit of the recordings that turned me on. I’ve always been a sucker for arch top guitars with P90 pickups, and have played vintage Gibson and Kay guitars most of my career. “Recently I’ve been endorsed by the D’Angelico company and have been playing their Excel 59 and have really enjoyed it. When I play solid body (which I generally do for about 1/3 of my set) I prefer a Fender Strat or a Tele. Doug’s putting the finishing touches on his fourth CD slated for release later this year, It’s a Complicated Mess. 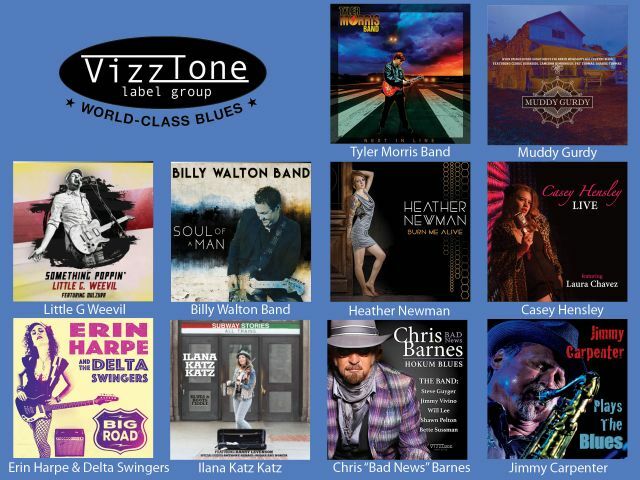 He’s got some pretty special guests joining him on the CD, including long-time Nightcat Charlie Baty on guitar, Sax Gordon on horns and Kim Wilson on harmonica. 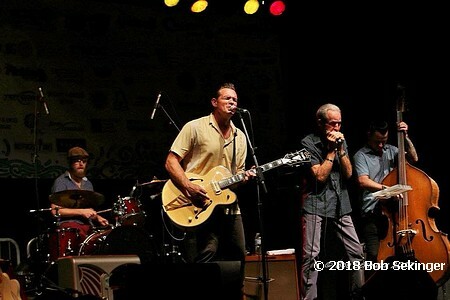 Next week, Doug Deming and the Jewel Tones will play the 23rd anniversary of the Western Maryland Blues Festival in Hagerstown on June 1st followed by the High Cotton Music Hall Street Fest in historic Hartwell, Georgia the next day. Each time one listens to What’s It Gonna Take, you are reminded why traditional blues from bluesmen like Doug Deming is so appealing. The Blues world looks forward to It’s a Complicated Mess and hopes that the new CD will keep Doug Deming and the Jewel Tones on the road. 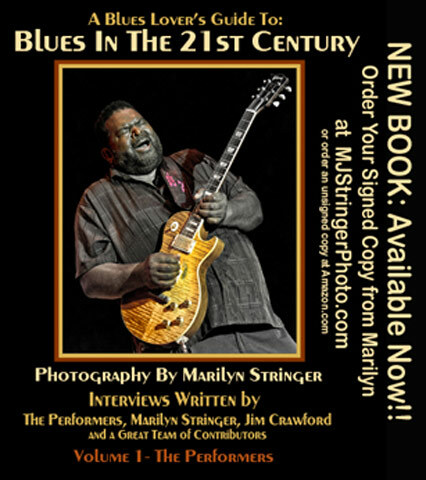 Interviewer Eric Steiner is the Editor of the Washington Blues Society Bluesletter. 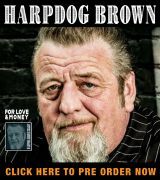 He’s been a blues columnist for Midwest Beat and Cosmik Debris and enjoys traditional Chicago blues. 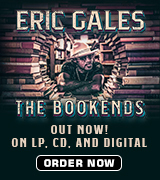 Eric received several Best of the Blues (“BB Awards”) from the Washington Blues Society, including Best Blues Writer in 2007, Best Blues Image (Poster for the Mary McPage Band’s “Drink with the Band”) and Keeping the Blues Alive Award in 2016. 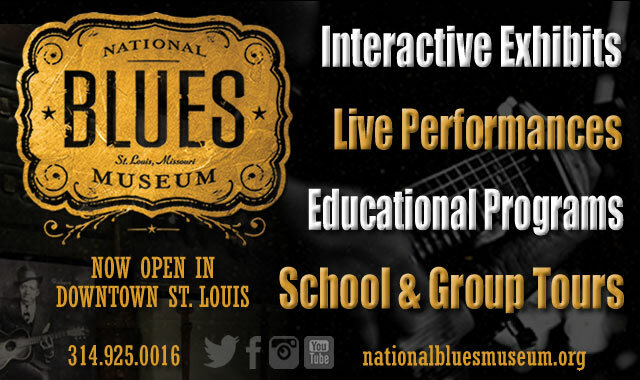 Eric served on the Board of Directors of The Blues Foundation from 2010 to 2013. 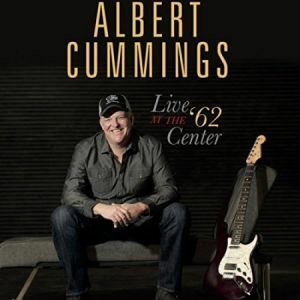 Recorded live in Williamstown, MA, Albert Cummings gives a tastes of his recent touring from coast to coast with this live CD/DVD/Blu Ray combo. Live at the ’62 Center features Cummings and his band giving a tight and memorable performance of mostly original tunes. Cummings is a well-seasoned guitar player and writes some great original tunes for his albums and this is another batch of well-crafted cuts. Cummings adds keys and backing vocalists to his trio for this tour and recording. In addition to him on guitar and vocals are Warren Grant on drums and Yanko Valdes on bass. The keyboardist is Pete Levin and vocalists are Kit Holliday and Lydia Harrell. They are a great band and deliver a really tight performance. Things start off with a very rocking “500 Miles.” Lots of notes, lots of guitar; it’s a very high energy excursion. “Finally In Love” transitions more into the rock ballad space with a slightly faster tempo than some ballads. Cummings grits out the vocals with style and the guitar is a little more restrained, although the solo goes a little over the top. Next up is “No Doubt,” a Hendrix styled rocker with perhaps some roots in the blues. The guitar solo uses lots of pedal effects. “I’ve Got Feelings Too” moves us slightly more into the blues. Albert howls out the vocals and the driving beat makes you want to get up and dance. The solo is big and there is more restraint at the start and I like it better that way than how he ends it. “Sweet Love” is a driving blues rocker with an extended guitar solo with layers of organ supporting it. Things slow way down for “Lonely Bed,” a somber slow blues with a nice extended instrumental intro and then some very emotive and thoughtful vocals. There’s a bit of a guitar dervish in the middle, but overall it’s a tasteful and cool cut. A nice cover of “Hurts Me Too” continues the emotion and feeling with a slow start that builds into a bigger and somewhat faster pace. Cummings does a really nice job with this one. There’s a nice keyboard solo that leads into a another good guitar solo. “Up Your Sleeve” is another well done blues rocker with Cummins again growling out the lead and laying out his big licks. 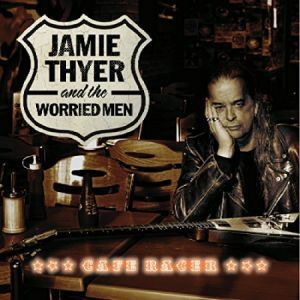 The ballad “Cry Me a River” is next, probably more southern rock than blues but it’s well done. “Found You” is more well-done rock with some blues overtones. “Movin’ On” gives us lots of grit and grime and feeling. A cool blues rock tune, Cummings and company give us a big-time performance here. The album concludes with a medley, “Glass House-Midnight Rider.” He gives us a huge southern rock tribute here, mixing his original stuff with the Dickey Betts song made famous by Greg Allman and the Allman Brothers. I really can’t call this a blues album. The influences are there, but it’s really a southern rock album. The folks who enjoy over the top guitar solos will appreciate this album and DVD. Albert is one hell of a guitar player and talented guy in general. The solos go a little too far into what I call the “too many notes” category, but he’s amazing at what he does. If you have a penchant for something more southern rock than blues or if you are just an Albert Cummings fan like I am, you’ll find something here to enjoy. I went into the Navy in 1976 when Hall And Oates were major radio airplay pop rockers. Times have changed with Daryl Hall and John Oates doing a lot of interesting and diverse musical work that in my mind far exceeds their best selling duo of all time pop heritage. Here we have John Oates returning to his roots. Born in New York City and growing up outside Philly in the 1950s and 1960’s, he was exposed to an assortment of music. Oates met Hall at Temple University in Philadelphia and they went on to make 21 records that sold over 80 million copies. Ten of them went to #1 and 20 songs made the Top 40 over the years. His solo career began in 1999 and Oates has released 5 records since then plus he wrote and published his biography last year. He feels Arkansas is his best work ever. It would be hard to argue because it is a beautiful piece of work. Mostly acoustic, the songs hearken back to a day when life was slower and music was made to pass the time while enjoying the hours off after toiling hard at work. Sharing time in Nashville and his family ranch in Colorado, Oates work shows depth and maturity while his playing and singing remains youthful and expressive. Oates begins with “Anytime,” an old Herbert “Happy” Lawson piece first recorded by Emmett Miller in 1924 on Okeh records. There is a lot of pretty finger picking backed by pedal steel that makes this special. Oates vocals have a little gravel and make for an authentic sound. He sings with enthusiasm and plays with abandon, an apt opening to this fine album. The electric guitar also adds a nice sounds to the mix. The title track is next up, written after a visit to Wilson, Arkansas where the Mississippi River bends and turns through the cotton fields. Nice vocals and hauntingly cool harmonies along with Oates picking make this another winner. “Creole Bells” reprises Mississippi John Hurt bringing this ragtime cut into the limelight. 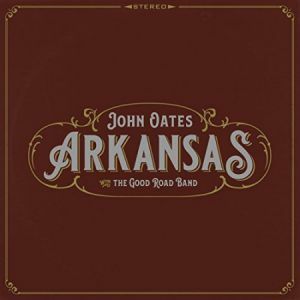 Hurt recorded it for Okeh about 90 years ago and Oates brings back to life with his band. “Pallet Soft and Low” is an old piece from the late 1800’s, appearing as parts of Blind Boone’s and W.C. Handy’s works. Here Oates modernizes the structure a bit and he and the band give it a very fresh coat of paint. “Miss the Mississippi and You” is a Bill Halley song immortalized by Jimmie Rodgers in 1935 in NYC just before he passed away. Oates remains true to the spirit of the cut and offers up a respectful and well paced rendition. He and band give it a sophisticated yet homey sound. “Stack O Lee” starts the second half of the album. A classic song about a pimp from St. Louis whose nick name no one really knows the origin of. He did kill a man in 1897 and the song emerged, wit Prof. Charlie Lee banging on piano and singing. Fred and Tom Waring’s Pennsylvanians made it a hit in 1923 and Mississippi John Hurt made the definitive version in 1928. Here Oates blends those sounds with an early Sun Records sound and gives it a folksy and new sound. “That’ll Never Happen No More” is a Blind Blake tune and Oates and Company give it a rousing cover. He sings and plays with a bouncing approach that gives new life to the song yet hearkens back to the old days, too. A Dixieland blues, of sorts, and Oates and The good Road Band are more than up to it. “Dig Back Deep” is an original that was inspired by Oates work with Doc Watson and his love of Mississippi John Hurt. He pays homage to the latter’s “Sliding Delta” in the last verse, a beautiful blend of guitars and pedal steel. The traditional Gospel song “Lord Send Me” is inspired by Isaiah 6:8 and is delivered here as a blue grass piece that the Band and Oates deliver with authority. Things conclude with “Spike driver Blues,” a hammer song in the work song tradition that was recorded on Okeh by Mississippi John Hurt in 1928. Harry Smith’s 1932 Anthology of American Folk Music got Hurt into the mainstream with this song’s inclusion and Oates finishes here to continue the re-appreciation of Hurt’s work. By far the best acoustic album I’ve heard this year, Oates and his Band have delivered some timeless music to us in a fresh and clean package. Sam Bush on mandolin, Guhrie Trapp on electric guitar, Russ Pahl on pedal steel, Steve Mackey on bass, Josh Day on drums and percussion, Nathanial Smith on cello and some backing vocals by the band a couple of other folks make this a traditional sounding album yet one with newness and life. Oates tried to immortalize Mississippi John Hurt here and he’s succeeded. Blending Dixieland, Blue Grass and Delta Blues in a magical manner, Oates delivers a superb record for us to enjoy. This is a fine acoustic work that anyone one who appreciates that type of music should add to their collection! Sometimes the simplest things are the best: a walk in the park, a grilled cheese sandwich at a diner, catching up on TV shows after work. 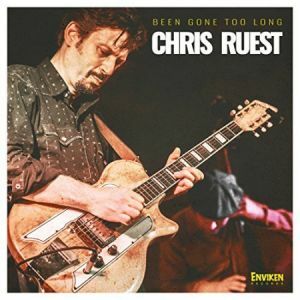 New England’s Chris Ruest, now based in Texas, knows this down-home truth and reflects it in his music. It’s classic 1950s-style blues. Some of his guitar grooves are reductive, as on the opener, “I’m Goin’ Home.” However, the way to success in so many areas is to find a formula that works. Ruest isn’t trying to be an artiste, but to provide good, solid entertainment. He uses familiar beats (Bo Diddley, Chuck Berry’s on “Run Rudolph Run”) as a template for new lyrics. The only song that can be considered ‘out there’ is the final number, “Jive Talk” (reviewed below). Vocally, he’s in the middle of the talk-singing pack. Chris doesn’t overact, so to speak, but there’s plenty of expression in his words. His new album, Been Gone Too Long, is perfect to use as background music for tasks one wouldn’t otherwise enjoy. It features two covers and eleven originals to make a baker’s dozen of tasty tunes. 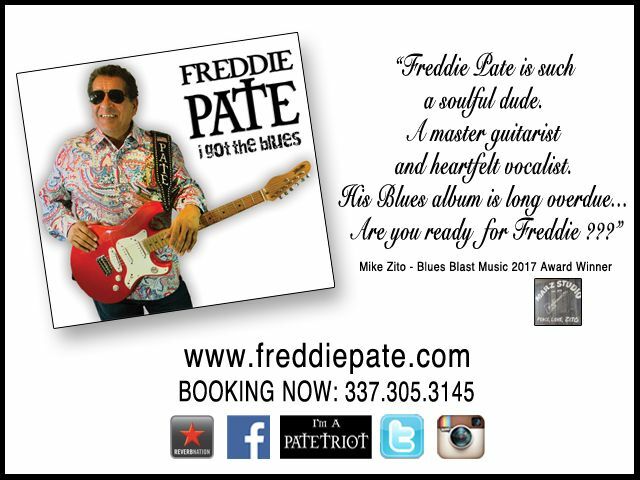 According to his website, “The Connecticut native’s interest in guitar was encouraged by his father and his uncle, jazz musician Louis Mastrobattisto. Ruest began taking lessons at 15, hoping, rather typically, to emulate blues-based rock guitarists Duane Allman, Eric Clapton, and Jimmy Page, but soon discovered the artists who inspired them…After playing around CT between the ages of 17 and 25, Ruest resolved to make music his main priority, gave up his factory job, and relocated to Texas in 1999. The following songs will get people’s feet moving and their minds grooving. Track 03: “Henhouse to the Doghouse” – This spicy rock-Zydeco stew is as flavorful as jambalaya, telling what just might happen if one has a fickle (and greedy) romantic partner. “From the henhouse to the doghouse in just about a minute or two, but I guess it’s just a lesson I’m learning from trying to make a living for you.” Dig Christian Dozzier’s awesome accordion. Track 10: “I Quit” – Taking Chuck Berry’s lead on the riff and rhythm, number ten will have crowds at live festivals and indoor shindigs doing the Twist. When you’ve gone “From the Henhouse to the Doghouse” too many times, the title of this track is what you’ll be shouting. The clear highlight here is Gene Taylor’s barrelhouse piano. Track 13: “Jivetalk” – Okay, this song’s a rap, but it’s worth it for the disses. The subject in question is someone who’s all jive and no juice. “Last week you were claiming you were still a big shot, but it’s like the hole in your mouth [uh, I think he meant ‘head’] is really all you’ve got. My, my, my…” Great harp here from Knock-Out Greg. 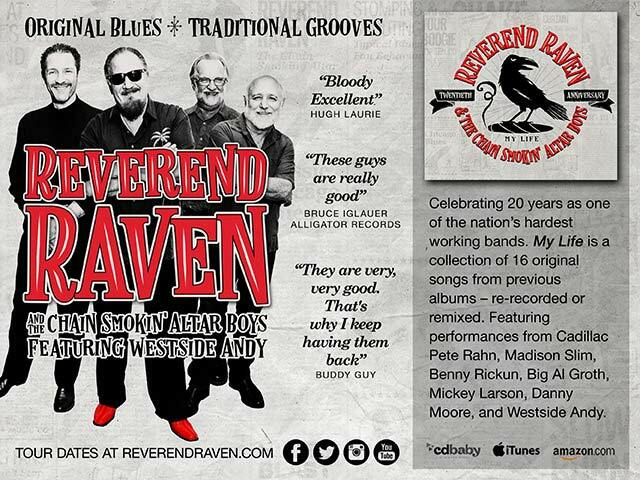 Been Gone Too Long doesn’t reinvent the wheel when it comes to blues, but it doesn’t need to! A Taj songs kicks things off- “Strong Man Holler.” first heard on a Bog Bill Morganfield Blind Pig Label CD, they then heard a Taj Mahal version and loved it more. 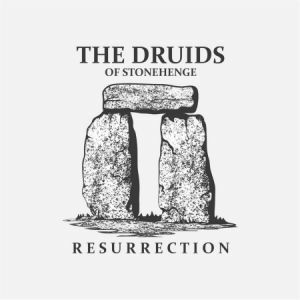 It was also the 2012 impetus to get the Druids back together. Budge has a deep bass vocal (reminds me a little of a rock version or Reverend Raven) who growls and sings with emotion. The guitar lead is stinging and the cut gets the blood flowing. Lightnin’ Hopkins’ “Shotgun Blues” is next, with deep, dark distorted vocals that fit the violent theme of the cut. A nice, driving beat and a guitar solo make for some good music. Magic Slim’s “Just to Be With You” gets an acoustic and slide guitar treatment and the cool overstated vocals by Budge give it a cool and interesting sound to boot. This power trio from the U.K. plays what was once called hard rock. Aside from the vocals it verges on heavy metal. It’s all about speed freak guitar and power chords. The rough vocals are passable and fit the genre, but the lyrics are lame and/or dumb. The lyrics are secondary as the songs are a vehicle for blazing guitars. The rhythm section is tight and is there at every turn. Actually the three instrumentals included here are quite melodic and riveting. This CD would of worked better sans vocals. If you are a fan of Black Sabbath or Spinal Tap you will feel right at home. The formula is basically the same throughout with heavy and fast paced guitar soloing, the only songs having a more enjoyable structure tend to be the instrumentals. Just to give you an insight into the lyrical craft at play here, the following are the complete lyrics to “Hot Valves” repeated over and over-“I don’t want nobody to git me nothing, open up the door let me get it myself”. Now for the good news. On the first of the instrumental tunes “Green Lights” nicely melodic guitar is played over strummed acoustic guitar and un-credited organ, no drums on this one. These songs are where Jamie’s guitar skills are shone in their best light. “The Harlot’s Ghost” builds in much the same way, then the rhythm section kicks in and it takes off to string bending nirvana with strong melodies. The title track is all electric power trio. It’s power will dust out your speakers for sure. Aside from the strong instrumental tracks this isn’t my kind of music. There are tons of fans around the globe that eat this kind of stuff up. Jamie Thyer is a gifted guitar slinger without question. It comes down to a matter of taste. Air guitarists will have a field day with this record. I will quote a great man as I have done once before in the past. I think Batman said it best when he said-“To each their own said the lady as she kissed her cow”. Jasmine is a UK-based label specializing in re-releases and this album is a follow-up to the 2011 double album Wonderful World, covering the years 1957-60. The 30 tracks are in chronological order and Roger Dopson’s excellent sleeve notes take us through this intensely creative period, including the battles that Sam had with his record label in order to obtain the creative freedom he wanted. When he achieved what he wanted – to record with his own musicians in California – the resulting single and album Twistin’ The Night Away was his strongest to date and ended all further ideas about recording Sam in NYC with session men. In terms of the ‘big hits’, this album contains “Cupid”, “Twistin’ The Night Away”, “Bring It On Home To Me” and “Send Me Some Lovin’”, each one a classic side. Can there be many more instantly recognizable songs than “Twistin’ The Night Away” with its distinctive drum opening and rocking sax break? 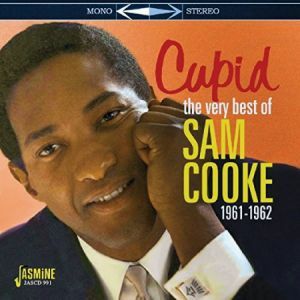 However, for those who probably have a Sam Cooke ‘Best Of’ somewhere in their collection there are some interesting tracks here that might attract them to purchase this disc: “Movin’ And A-Groovin’” was an album track on Twistin’ The Night Away and readers may know it from a splendid cover by Eugene Hideaway Bridges on his Man Without A Home CD but the original is terrific too; “Havin’ A Party” was the B-side of “Bring It On Home To Me” and has been a staple of Southside Johnny & The Asbury Jukes’ show for years, often played as the final encore; “Soothe Me” (later reprised by Sam & Dave) was another track onTwistin’, here a duet with Lou Rawls. Sam recorded My Kind Of Blues in 1961 and, despite the title, it was one of several attempts to break him into the mainstream, with covers of Berlin, Ellington, Gershwin and Rodgers & Hart. 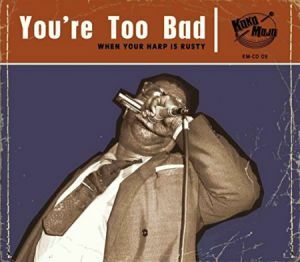 This compilation does include solid versions of “Nobody Knows You When You’re Down And Out” and “Baby, Won’t You Please Come Home” and the opening track here, “That’s It – I Quit – I’m Moving On” can certainly class as blues, as does Sam’s version of Charles Brown and Johnny Moore’s “Driftin’ Blues” which closes the CD. Some of the material which was recorded in NYC fares less well than the sides ‘at home’ in CA with his own musicians but there are still some interesting moments. Check out the bass backing vocal coming out of the LH speakers on “(Don’t Fight It) Feel It” or the Twist cash-in track “Twistin’ In The Kitchen With Dinah”, another cut from the impressive Twistin’ The Night Away album. “Talkin’ Trash” is a good cut but the tune used would go on to work even better a year later as the basis of “Another Saturday Night”. 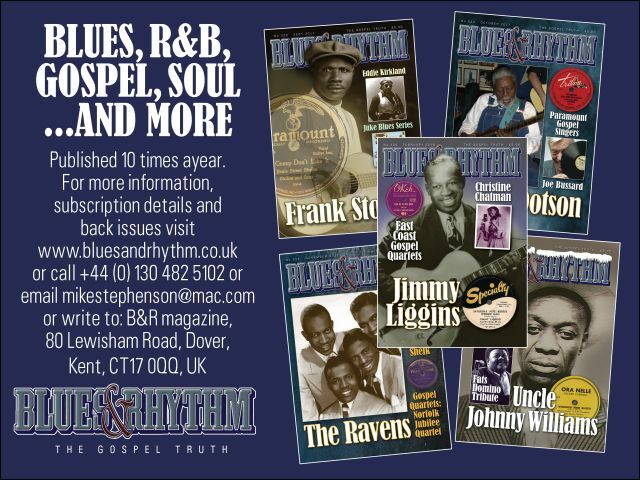 Of course, the roots of soul lie in the blues and most blues fans love some old soul records, so there is lots to appreciate here. Sam Cooke will always be known as ‘the man who invented soul’ and these sides certainly give credence to the tag. Anyone who does not already own this material should immediately acquire this CD, its predecessor and the probable third volume when it inevitably appears. Essential listening. Mimbres Region Arts Council presents the 23rd Silver City Blues Festival takes place May 25-27, 2018, in Silver City, NM. This year’s festival continues to be free for all to enjoy. 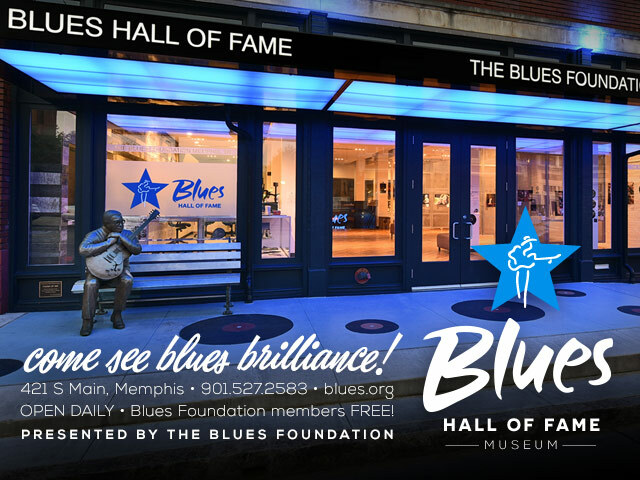 It is a supported by many local businesses and individual blues lovers. This year’s lineup: The Bus Tapes, Brandon Perrault, Todd Tijerina Trio, Brody Buster, Amanda Fish, Ghost Town Blues Band, C.W. Ayon, Tony Holiday and the Velvetones, The Peterson Brothers. Shows start at 7 pm, and are open to the public. Food and Beverages available at all Friends of the Blues shows. July 10, Brandon Santini, Manteno Sportsmen’s Club, 851 N Main St, Manteno, IL More Info at: http://www.facebook.com/friendsoftheblues. Blue Monday Schedule: 5/28 – The Dennis Jones Band, 6/4 – TBA, 6/11 – Rockin’ Johnny Burgin, 6/18 – The 44’s with Tex Nakamura, 6/25 – Laurie Morvan Band. For more information visit www.icbluesclub.org.